There are some widespread myths that people have when it comes to fire sprinkler systems. Since fire sprinkler systems are one of the most reliable and affordable ways to protect your home from a fire emergency, you’ll want to know everything you can about them. There are some widespread myths that people have when it comes to fire sprinkler systems. 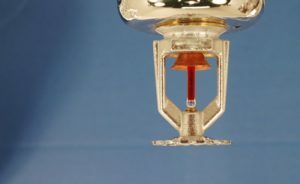 Since fire sprinkler systems are one of the most reliable and affordable ways to protect your home from a fire emergency, you’ll want to know everything you can about them. As a result, busting the myths you have surrounding fire sprinkler systems can help you understand how fire sprinkler systems work and how they help protect your humble abode. Here are the common misconceptions busted. These days, sprinkler systems are more high-tech than others. Modern fire sprinkler systems are activated individually. Each sprinkler head has its very own heat sensor that will go off when it registers at a certain temperature. As a result, many fires are typically controlled quickly by sprinkler systems and will usually only require one or two sprinklers to go off before the actual threat neutralizes. Many homeowners think that a smoke detector is enough to keep their family safe. While a fire extinguisher is an essential part of any safety protections, there are still some missing pieces. Fire sprinkler systems are not just luxuries- they are necessary for your home’s protection in the event of a fire emergency. There are some problems that a fire extinguisher can’t control as efficiently as a fire sprinkler system. Just like fire extinguishers lose their effectiveness after a certain period. As a result, many homeowners tend to forget to replace them. With proper fire sprinkler and the right installation, you can rest assured that your family and property will continuously be safe from the potential of a fire emergency. Having a fire sprinkler system in your home is a great way to protect your family and your home. Keeping your place safe from a fire emergency is essential which is where a fire sprinkler system comes into place. This entry was posted on Friday, March 29th, 2019 at 3:16 pm. Both comments and pings are currently closed.